Waste tyre pyrolysis plant is a kind of eco-friendly machine that is used to dispose of waste tyres. You can get pyrolysis oil, carbon black and steel wire through recycling waste tyres with the pyrolysis plant. Waste tyres are mainly coming from cars that have been becoming a kind of necessities in our daily life. More and more cars mean that there will be more and more waste tyres. Therefore, waste tire pyrolysis plant is necessary for dealing with waste tyres stacking problem in an eco-friendly and profitable method. Our machine has been exported to many countries, such as United Kingdom, South Africa, Uzbekistan, Hungary, Indonesia, Romania, Korea, Turkey, Dominica, Nigeria, Jordan, Netherlands, Brazil, etc. 1. The semi continuous pyrolysis plant and fully continuous system have an auto-feeder which can feed the materials into reactor automatically, while the batch system need to feed materials by manual. Moreover, only the fully continuous system can achieving feeding raw materials on one side and discharging carbon black continuously on the other side. 2. The reactor of fully continuous tyre pyrolysis plant is stable and not rotary, which makes the temperature rise and pyrolysis react quickly. This special design makes the whole pyrolysis process efficient and can also save much heating materials. While the reactors of batch and semi-continuous waste pyrolysis systems are 360-degree rotating. This special design makes the bottom of reactor heat evenly, which lengthen the service life of reactor as well as improve the pyrolysis speed. 3. 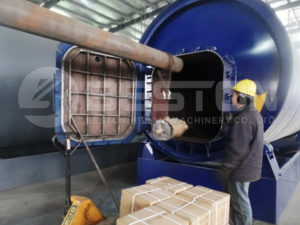 For the semi-continuous and fully continuous scrap waste tyres pyrolysis plant, before tyre pyrolysis process, the tyres need to be cut into small pieces by tyre shredder machine for sale. If the materials’ humidity is higher than 15%, it also needs a dryer to dispose the waste first. This pre-treatment step can make the pyrolysis process more efficient. While the batch system doesn’t need the pre-treatment. 4. The fully continuous system can work continuously for 24 hours per day without a stop and needn’t to be cooled before the second batch. The semi-continuous system can work 3-4 shifts per day, and it only need one hour to cool the reactor before the second batch. The batch tyre pyrolysis plants can only work one shift per day, and need to 5-6 hours to cool the reactor. Pyrolysis oil, carbon black and steel wire are the mainly final products when you use waste tyre pyrolysis oil plant to deal with waste tyres. When you get these final products, you can use them to gain large profits through selling and use. 1. Pyrolysis Oil: the pyrolysis oil from tyre pyrolysis machine can be widely used as industrial fuel materials for burning. If further refined to diesel or gasoline by the waste oil distillation machine, the oil can be used in low speed engines such as digging machine, road roller or loading machine, etc. It can help in relieving energy crisis. 2. Carbon Black: the carbon black from waste tyres to oil process can be used for construction bricks with clay or used as fuel. If further processed by Beston carbon black processing plant, the carbon black can be deep processed into N220, N330 carbon black, which has higher value and wider applications. Moreover, it can be made into pellet or briquette for burning, or further processed into color master batch as basic material to make pipes, cable jacket etc. 3. Steel Wire: the steel wire can be reprocessed or used to make steel and iron rod. Are you clear with the applications of end products now? The pyrolysis tyre recycling plant also can be used to dispose waste plastic, waste rubber, medical waste, oil sludge, etc. You can get pyrolysis oil from all these waste items. Interested? 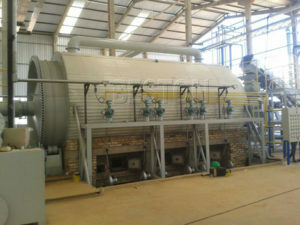 Get the tyre pyrolysis plant price now! 1. Feed waste tyres into reactor by auto-feeder or manual and seal the feeding inlet door tightly to make sure there is no gas leakage. 2. Then heat the reactor by using coal, charcoal, fuel gas, wood etc. as heating materials. The reactor will be slowly heated, and when the temperature reach about 250℃, the oil gas will be formed. 3. The pyrolysis oil gas coming out from the reactor then goes to condensing system and becomes liquid oil. We adopt new-type condenser which can improve the oil yield efficiency and make the oil yield to the maximum. 4. The gas which can’t be liquefied under normal pressure will be designed to go back to combustion system through safety device. It can be recycled to heat the reactor as fuel, which will save energy for the whole working process. 5. After finishing oil production, the temperature of the reactor will be cooled down. When the temperature falls down to 40℃, the carbon black and steel wire will be discharged automatically or by manual. If you want to know more about the tyre pyrolysis process of waste tire pyrolysis equipment. Contact us now! Reactor decides the using time and the safety of tire pyrolysis plants. 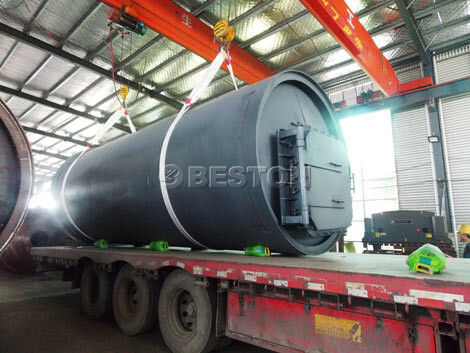 Beston pyrolysis plant has used the unique design that contains multiple reactors, and one of reactors is made of stainless steel which can prevent the oil corrosion, while the others are made of Q245R boiler steel whose thickness is 16mm. The major function of reactor is to heat the waste tyre materials and turn them into oil gas. In addition, we also have designed unique protecting device for rector-casing, which covers the outside of reactor to reduce the heat loss and protect workers from getting burnt. Therefore, the excellent design of reactor can not only extend the service life of the whole set of plants, but also save much fuel energy to some extend. The introduction of tube type oil condenser is a kind of equipment with biggest cooling area and highest cooling efficiency of condensation, which is the key component of heat exchange with our high-end equipment configuration. Through this step, a large scale of light oil gas will be liquefied into fuel oil and then enters oil tank. In the operation process, the water will not get touch with the oil directly, which is both contribute to protecting environment and ensuring the purity of oil. Water seal, used for combustible gas-desulfurization, cleaning and purification, can prevent the corruption of the furnace after burning. It is one of the core technology for us to prolong the service life of reactor. It is also inevitable to generate combustible gas in the production process. So when the combustible gas passes through the hydroseal, it will be desulfurated and cleaned, and the harmful components will be fully removed. Beyond that, the clean gas will be recycled to the burning room to provide heat, which can save a lot of fuel. The dedusting system of Beston waste tyre pyrolysis plant includes four steps: in the spraying tower, the smoke will go through water washing, waster spray, ceramic ring adsorption and the activated carbon adsorption. After four filters, the clean smoke can meet EU environmental protection and emission standards. The draft fan is the hot air circulation power of the heating system. 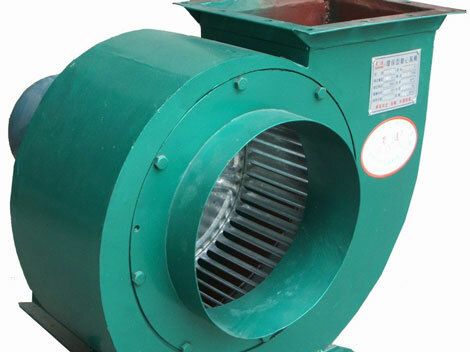 The stainless steel induced draft fan can bear medium temperature which exceeds 300 Celsius. After the draft fan operating for a short period, we should check the ash binder condition on the impeller blade and clean up in time. If there is any abnormal vibration and noise in processing, the draft fan in operation should be timely checked and processed. Having been in waste recycling field for many years, Beston Group has been constantly researching, developing, updating and manufacturing waste recycling plants to improve the environment and creat profits. Our waste tyre pyrolysis plant has been exported to 20+ countries, and have received much praise. If you want to know more about the tire pyrolysis equipment, please go to homepage to learn more.